Millions of aging Americans will lose their vision from cataracts and age-related macular degeneration (AMD), having to learn what it means to live without eyesight. 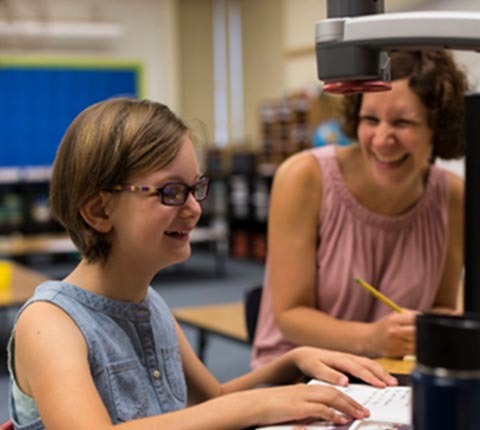 2020 Vision Quest supports the Future in Sight (formerly NH Association for the Blind), an organization that helps people learn the skills of living without vision. 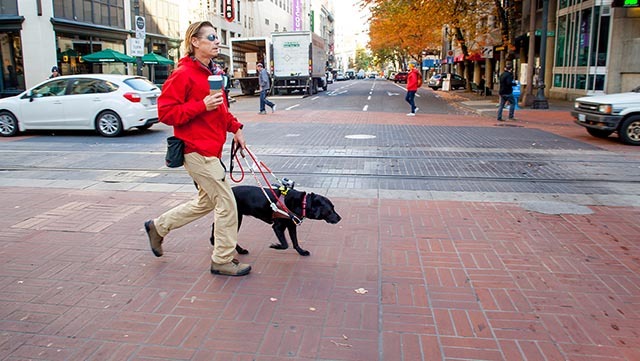 A guide dog can make the difference between an active life and isolation. 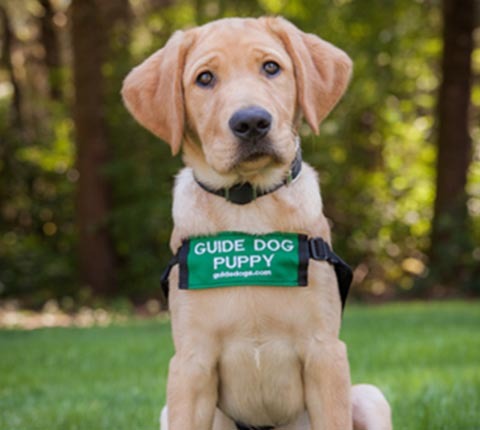 Your contribution to 2020 Vision Quest helps Guide Dogs for the Blind provide dogs at no cost to those who are blind or visually impaired. In addition, they provide a lifetime of support to help care for your guide dog. 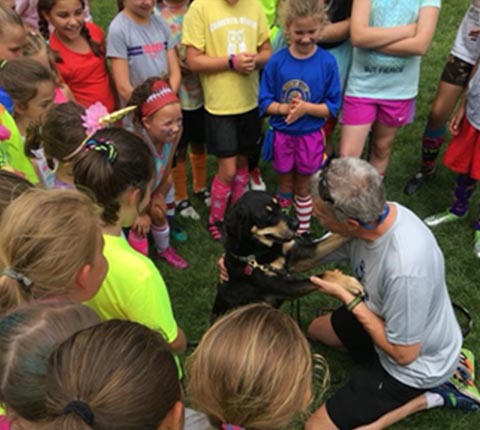 Randy strives to teach students of all ages “Ability Awareness” – the idea that their response to overcome daunting challenges and not the challenges themselves is what defines them and others. Randyʼs message is that it isnʼt what happens to you, but rather how you respond to it that makes the difference. Your support keeps 2020 Vision Quest going strong in its mission to reach out and affect the lives of others. 2020 Vision Quest places the highest priority on protecting the privacy of our donors and holds all donor information in strict confidence. 2020 Vision Quest does not and will not sell or trade a donor’s personal information to any other entity. Yes, your contribution to 2020 Vision Quest is tax-deductible. Other ways to support our Quest include funding a matching or challenge grant, organizing corporate donations, and donating “in kind” goods and services for our annual Peak Potential auction fundraiser.